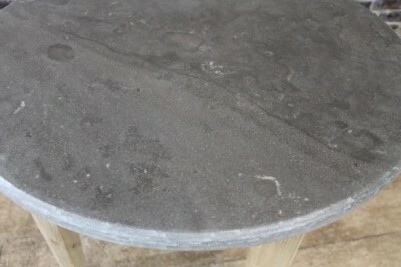 All of the stone tops are made of 1” thick blue stone, which is extremely hard wearing. They are ideal for restaurant or cafe use as they can be cleaned easily. 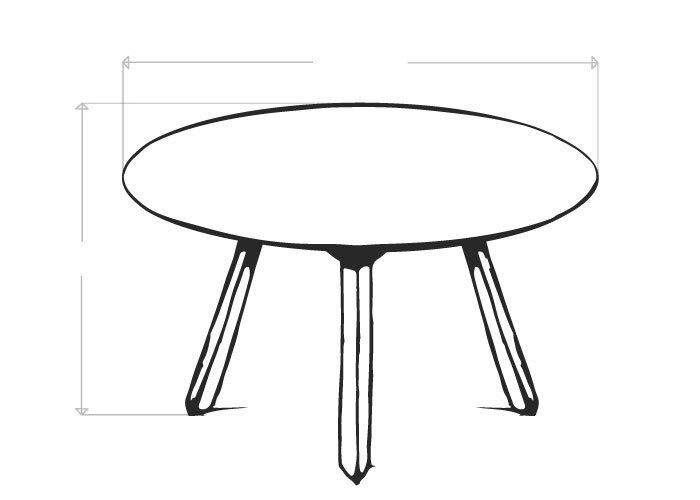 These tables stand upon a square tapered leg base made of 100% recycled pine. 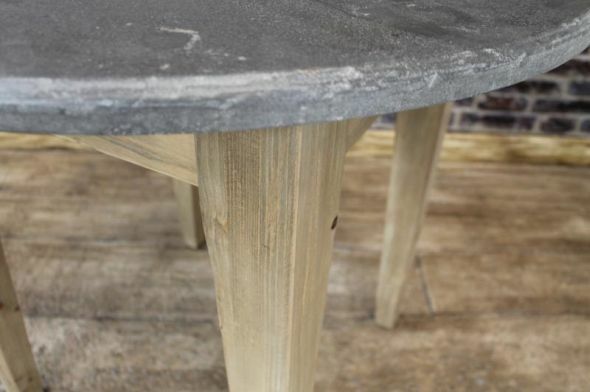 The pine bases feature a water based stain, so you can easily paint or wax them to match any interior. 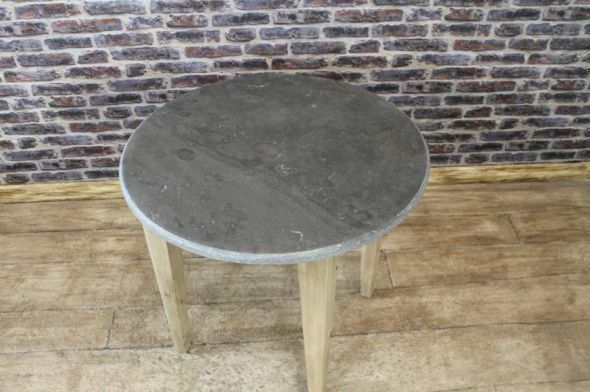 An ideal option for any small bistro, etc. as the tops are virtually maintenance free. 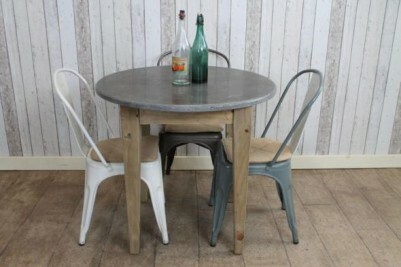 Please note that the other items pictured are not included in the listing but can be purchased separately. 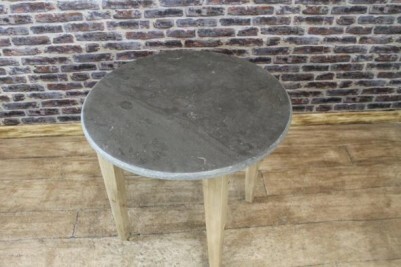 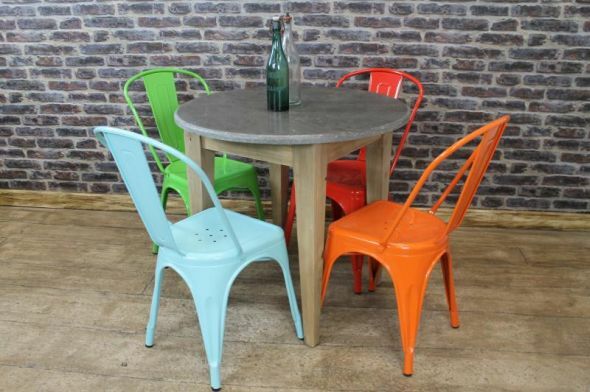 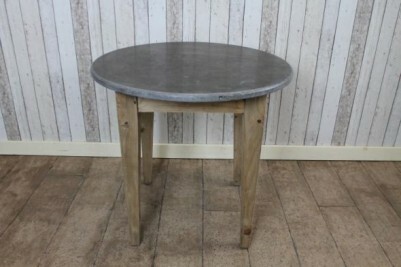 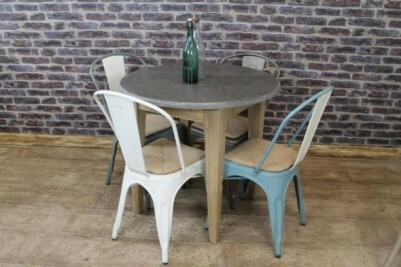 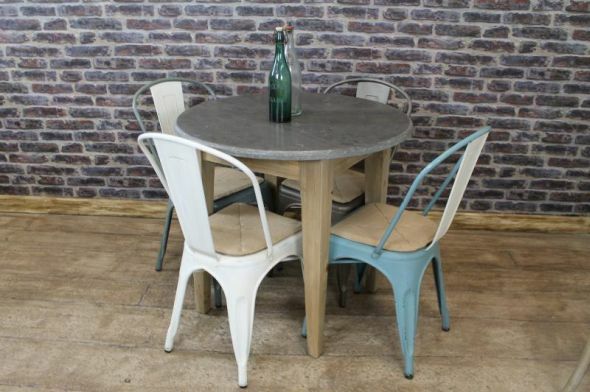 We also stock a square stone top table; please see our other listings for further information.